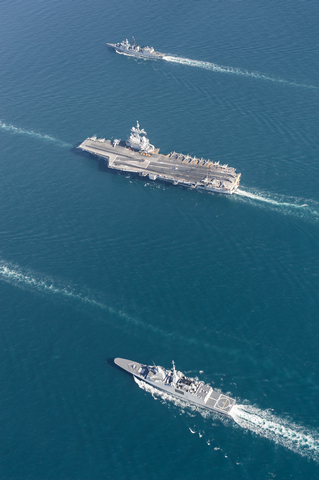 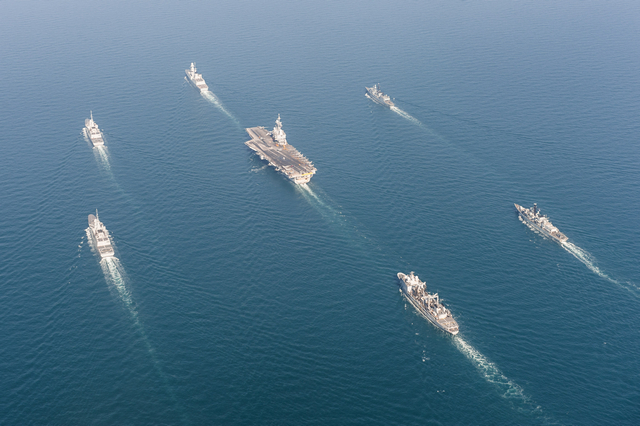 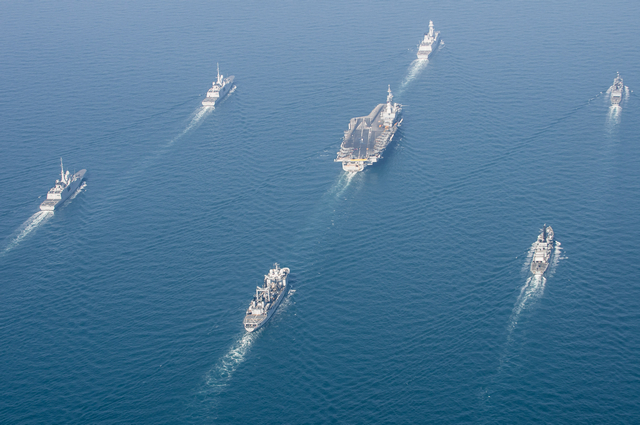 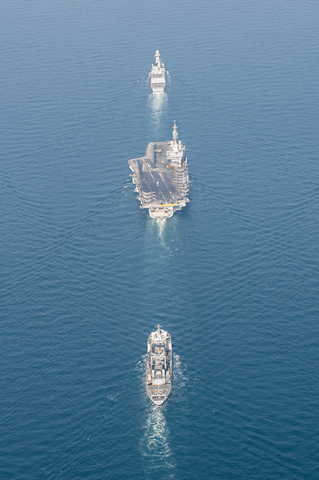 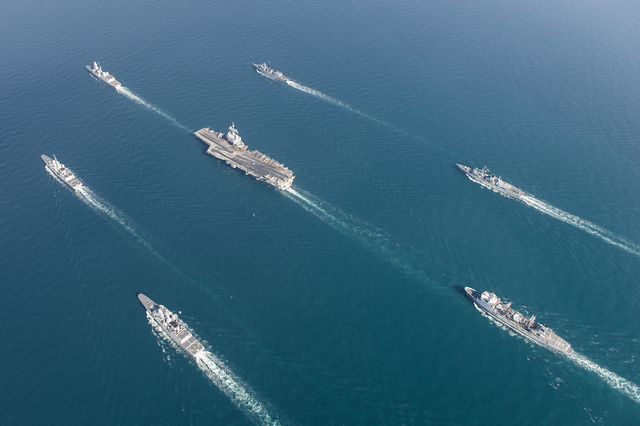 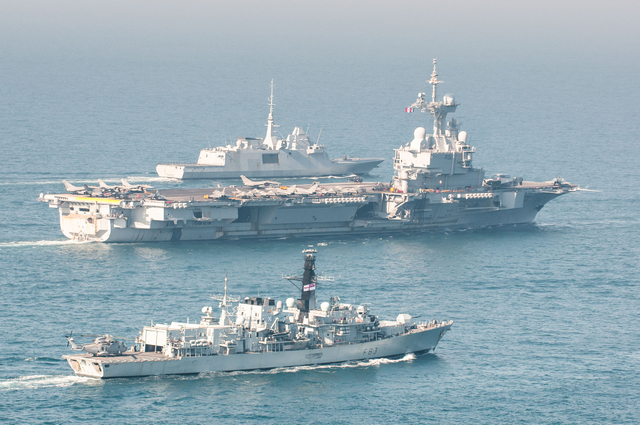 The French Navy (Marine Nationale) has released a series of nice pictures showing the Charles de Gaulle Carrier Strike Group (CSG) underway in the Arabian/Persian Gulf. 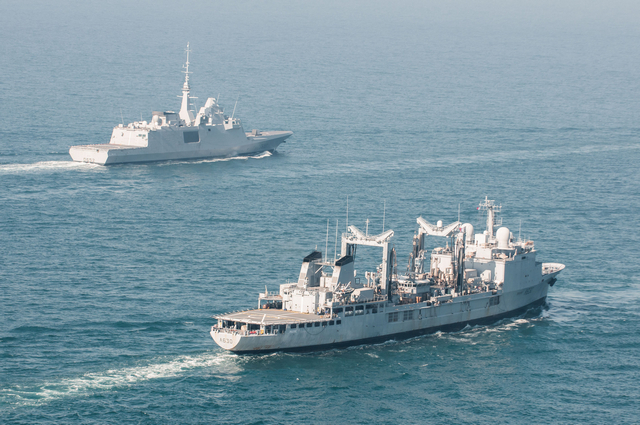 The French CSG is currently is currently deployed in the area in support of coalition operations against Daesh in Iraq and Syria. 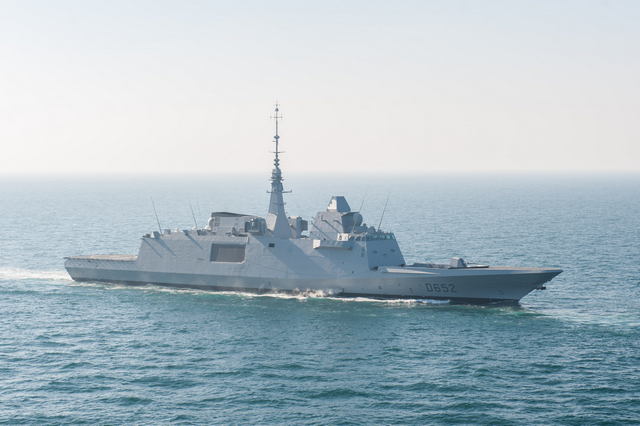 The pictures show two Aquitaine class FREMM Frigates, the latest addition to the fleet, underway alongside the Charles de Gaulle. 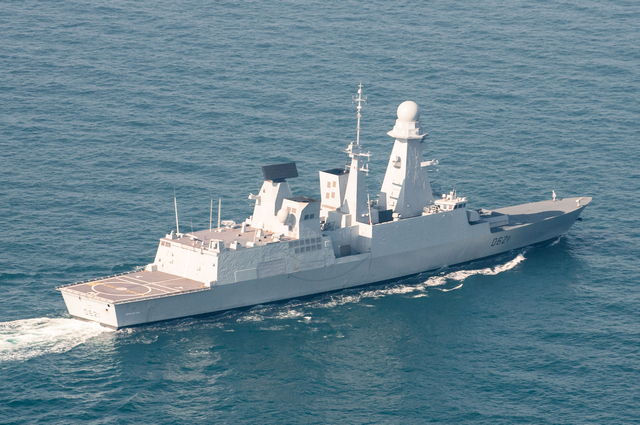 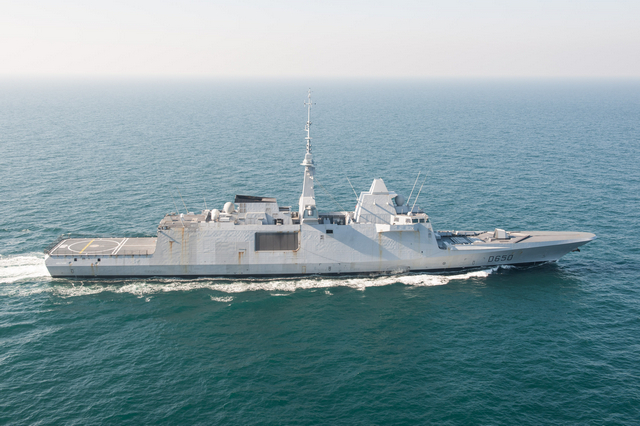 First ship of the class Aquitaine was declared "on avtive duty" by the French Navy in early December 2015 and deployed just two weeks later to joint the CSG. 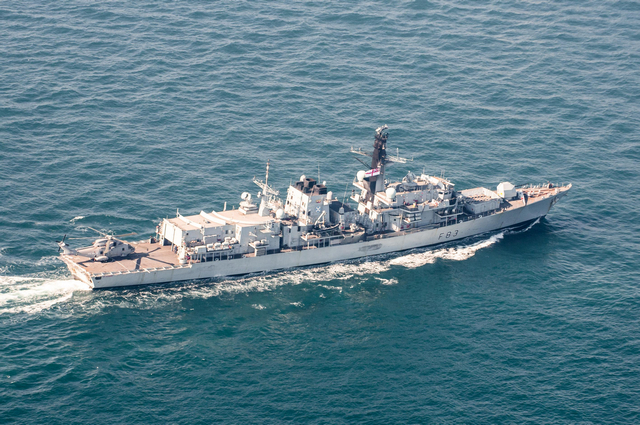 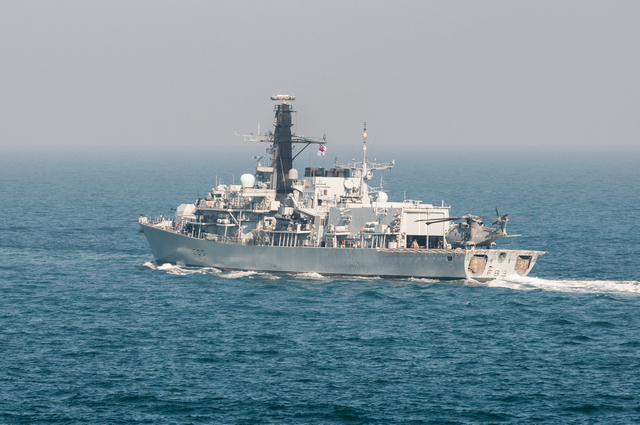 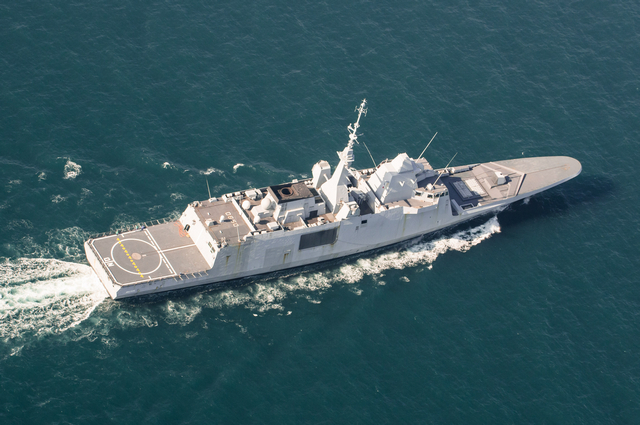 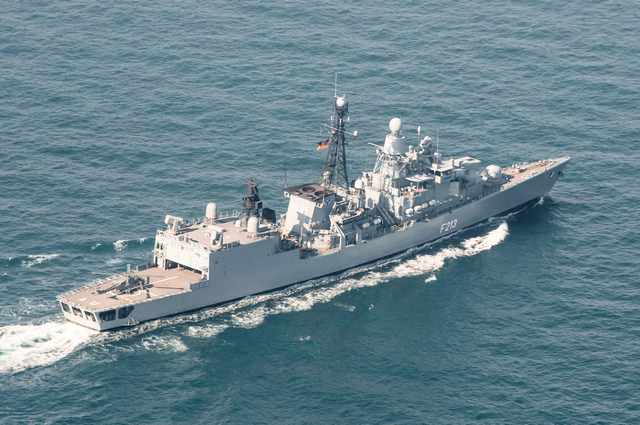 Second vessel of the class Provence joined the area of operation in late December. 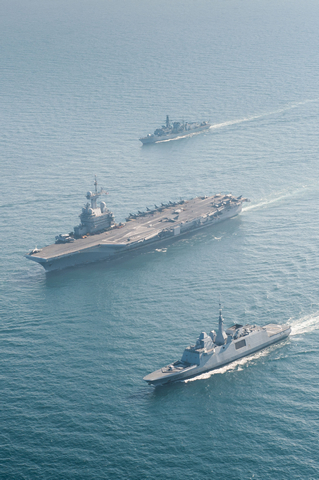 Provence is not officially on active duty yet. 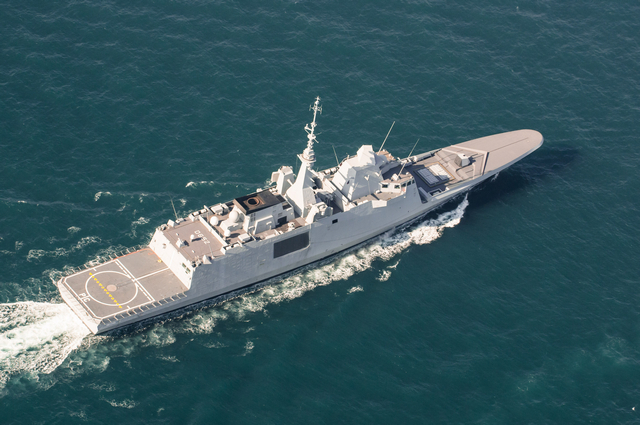 According to the French Navy, the Multi-Mission Frigate (FREMM) Frigates are a centerpiece of the modernization of the Navy. 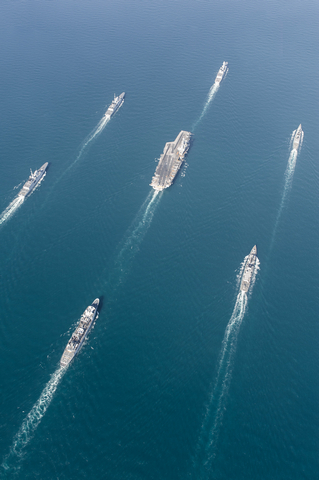 They are a game changer in particular with their high technology, versatility and flexibility. 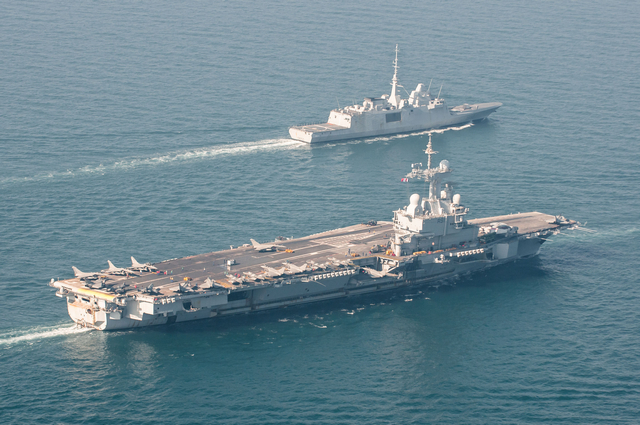 Aquitaine, is based in Brest, Brittany (Western France) while Provence is based in Toulon (Southern France). 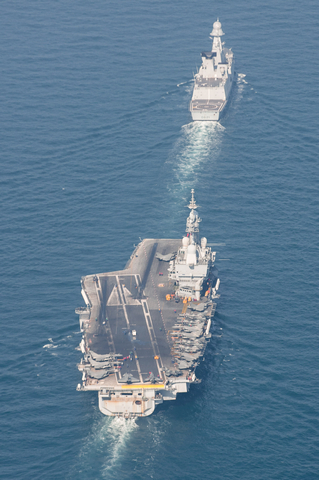 The French Navy CSG left its homeport of Toulon, France on November 18 2015. 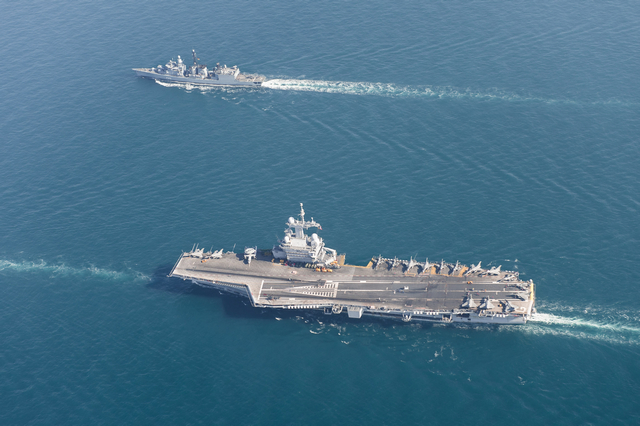 First strikes against Daesh took place on November 23 from the Eastern Mediterranean Sea. 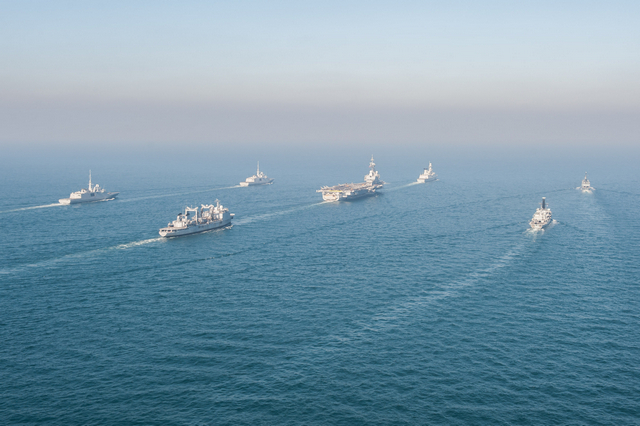 The CSG then crossed the Suez canal, entered the Arabian/Persian Gulf and started stikes from this location on December 20th. 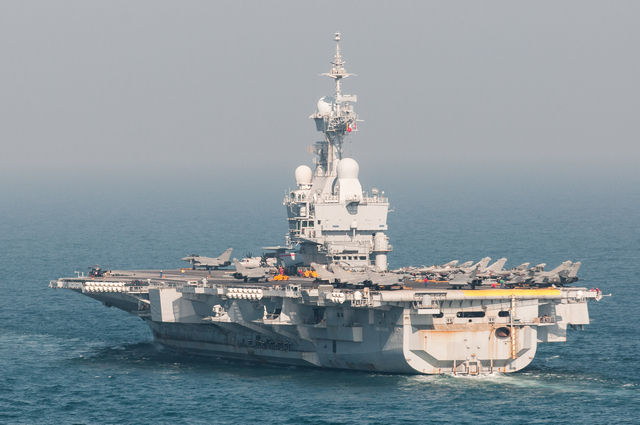 French Rear Adm. Rene-Jean Crignola, aboard Charles de Gaulle, assumed command of CTF 50 Dec. 7 after entering the U.S. 5th Fleet area of operations (AOO). 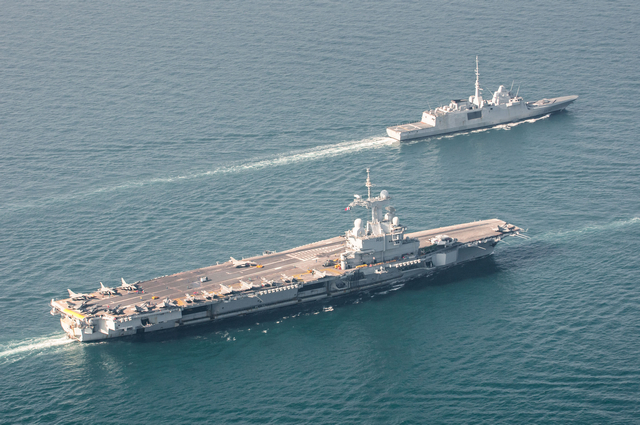 This marks the first time the French Navy has served as commander of a U.S. task force in this region. 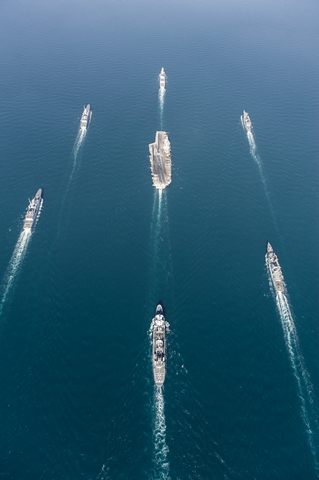 CTF 50 plans and conducts coalition strike operations in the Middle East and reports directly to Commander U.S. 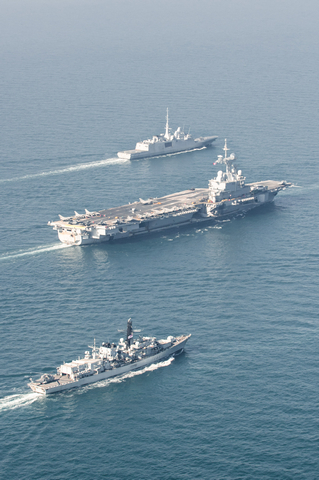 Naval Forces Central Command. 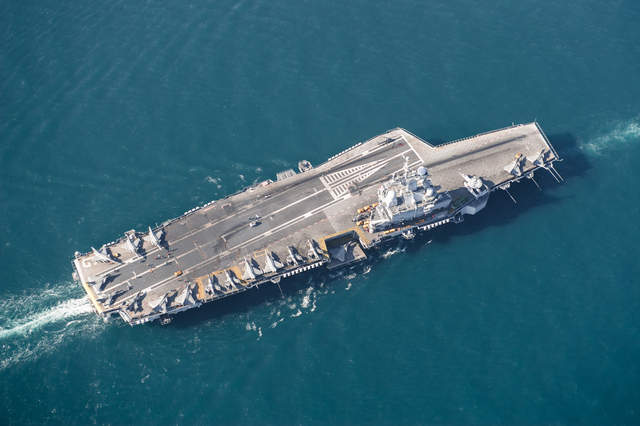 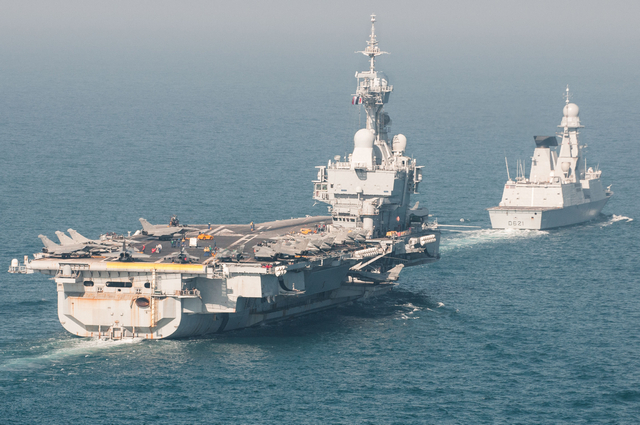 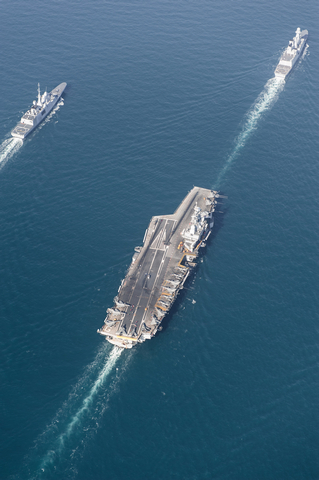 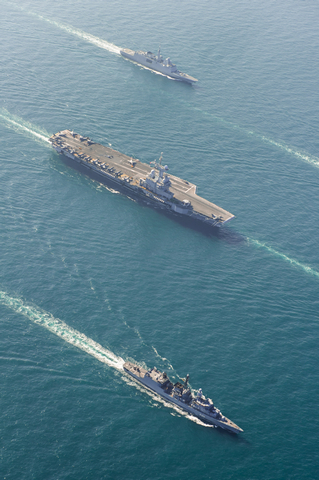 US Navy aicraft carrier USS Harry S. Truman (CVN 75) joined Charles de Gaulle in the Gulf region on December 26th.